People who have been arrested for or charged with driving under the influence often want to know if they will lose their license; and if so will they be eligible for a restricted license. A restricted license allows a person to drive subject to certain restrictions. In many cases, a driver may be eligible for a restricted license but there are situations where a restricted license would not be available. 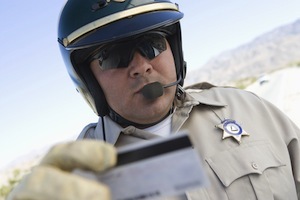 It is important to remember that anyone who has been arrested on suspicion of DUI may be dealing with two potential license suspensions; an administrative suspension that is imposed independent of what happens in court and a court suspension that is triggered whenever a person is convicted of a driving under the influence offense. The administrative suspension automatically starts 30 days after a person is arrested for DUI and the arrest is reported to the DMV. The driver can contest this suspension and must file a request for a stay of suspension and administrative per se hearing within ten days of being arrested. If a timely hearing request is made, the DMV will issue a temporary driver’s license that would allow the driver to drive while the matter is pending. If the DMV ultimately decides to uphold the suspension, the driver will be sent a decision in the mail that informs him or her of the adverse decision and provides the date that the suspension begins. For first time DUI drivers who did not refuse testing and who are 21 or over, the administrative suspension would last for four months. After 30 days, the driver would be eligible for a restricted driver’s license. The restricted license would allow the driver to drive to and from work and to and from his or her alcohol education class. In order to get a restricted license, the driver would have to provide proof of enrollment in the AB541 (3 month) class, obtain SR22 supplemental insurance and pay a reinstatement fee. The restricted license would be effective for five months or longer, depending on what happens in the driver’s court case. Drivers who refuse testing, who have prior DUI offenses or who are under 21 would be unable to obtain a restricted license. These drivers also face longer suspensions that are at least one year long. A driver with multiple DUI offenses may be able to get a restricted license if he or she is convicted in court of DUI and was not on probation for the first DUI when he or she committed the second offense. These drivers would be eligible for a restricted license after a 90 day hard suspension that would allow them to drive as long as they install an Ignition Interlock Device (“IID”) in their vehicles. Drivers who are convicted of DUI in Los Angeles County are subject to an IID requirement due to Los Angeles County’s involvement in the DMV IID Pilot Program. After being convicted in the court, the conviction is communicated to the DMV which would then issue its own suspension. Even if the driver is already serving his or her administrative suspension, he or she would be required to get an IID device. The IID restriction would be effective for at least five months or whenever the alcohol education program is completed, whichever is longer. If you have recently been arrested for DUI and want to know more about restricted licenses, it is imperative that you speak with a Los Angeles DUI Attorney right away. As a former Deputy District Attorney with over 14 years of prosecutorial experience, Los Angeles DUI Lawyer Michael Kraut is highly knowledgeable about this area of the law and can help his clients obtain restricted licenses. For more information about Los Angeles DUI and restricted licenses, and to schedule your free consultation, contact Los Angeles DUI Lawyer Michael Kraut at the Kraut Law Group located at 6255 Sunset Boulevard, Suite 1480, Los Angeles, CA 90028. Mr. Kraut can be reached 24/7 at 888-334-6344 or 323-464-6453.